There is a "ubiquitous" audio guide available, but I didn't use it. I believe it works with a phone app. 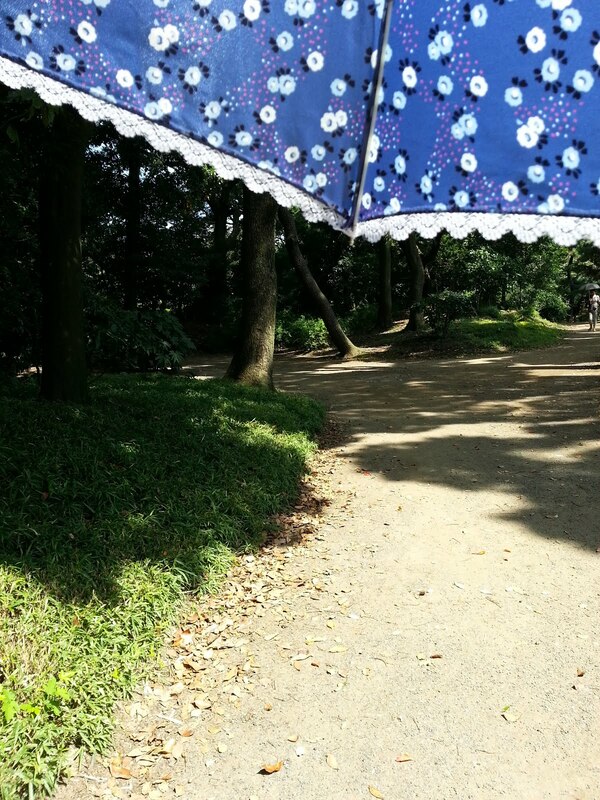 This small stand sells cold drinks, snacks, umbrellas and sun parasols and other souvenirs. There's a shady place next to the stand to enjoy your snack before moving on. 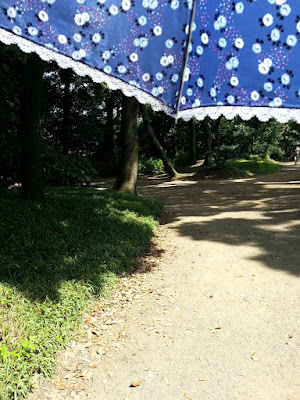 I purchased a sun parasol and it was one of the best purchases of the trip. So much cooler and much more pleasant. I got a lot of use out of it on this trip. I'd say about 20% of the Japanese women I saw were carrying one and no one gave me a second glance about it. I only saw a portion of the gardens. There are other trails to follow and I'll try tea at this tea house next time. It's a wonderfully quiet and peaceful place within the city and well worth visiting.